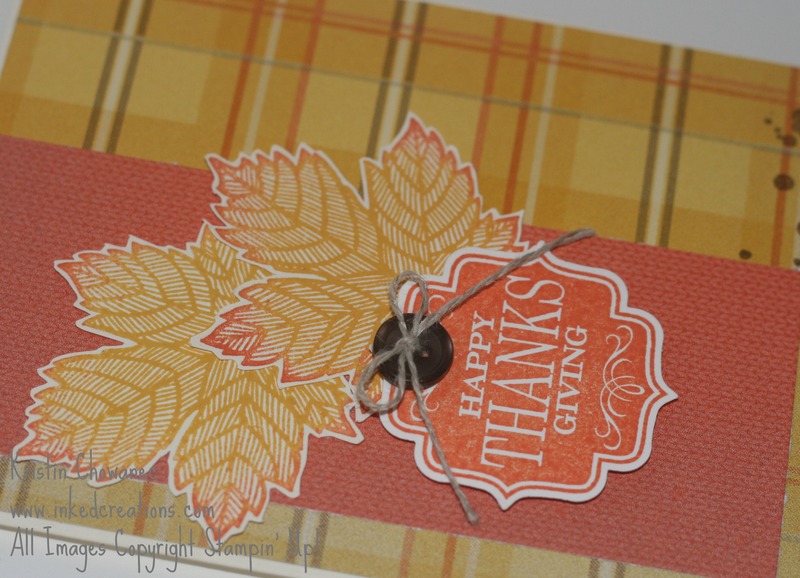 I am just loving the Sweater Weather Designer Series Paper and the Magnificent Maple stamp together! I used the rock and roll technique on my maple leaves to achieve this look. You can do the same by inking your leaves in a lighter color (in this case I used Crushed Curry) and then just rolling the edges of the stamp in a darker color (I used Tangerine Tango).